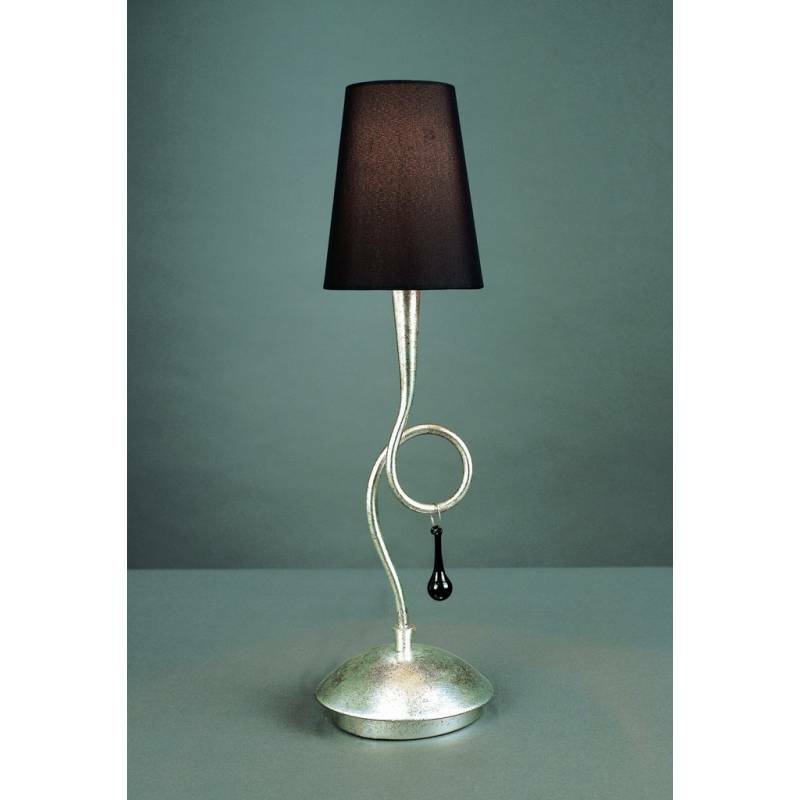 Mantra Paola table lamp 1L finished in silver metal and black lampshade. 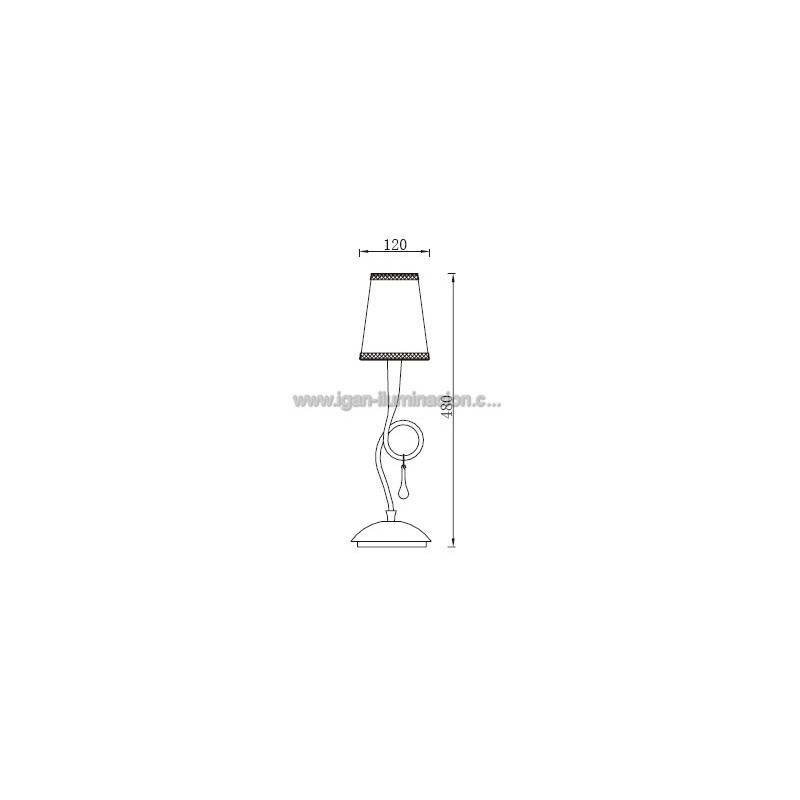 Mantra Paola table lamp 1L finished in silver metal and black lampshade. Paola classic lines, sophisticated and elegant collection. Its translucent screens transmit warmth and ambient light. His arms are highlighted with "tears" of precious stones in glass, most enhancing the entire collection. 1xE14 20w. Power/Bulb type 1xE14 20w Max Bajo consumo.